N’awlins-as the locals say. It’s funny though, you can tell how far away the foreigners are from by the differences in how they pronounce the city name. Some put the emphasis on this part of New ORleans, others say New orlEANS. But if you’re local, or maybe just have stayed a bit too long, it becomes something different. Something that rolls off the tongue, tasting as smooth as the heavy cream in a Cafe au Lait….NewAwlins. And I think that if you’ve managed to incorporate that pronunciation into your casual conversation, you’ve probably moved beyond Bourbon Street and into the heart of this beautiful city. 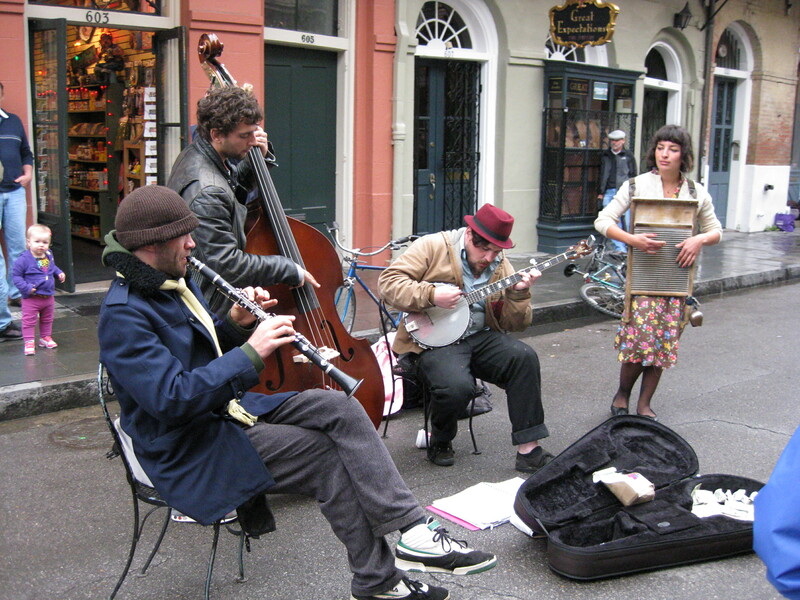 New Orleans is a beautiful mix of now and then depending on what type of experience you are looking to find. You can tour the beautiful old mansions (in one part of the city) and historic graveyards and be transported to a time where grandiose was the norm. Or you can see the hidden gems around the Quarter and allow the ghosts of the past to send shivers up your spine. The streets are full of promise and acceptance for any who choose to visit…from uptown chic to Jimmy Buffett and a few skeletons in between. It really is such an eclectic mix of societal influence that it would take me years to feel it all out. But I also have the feeling that I would find it quite homey. I think anyone would. 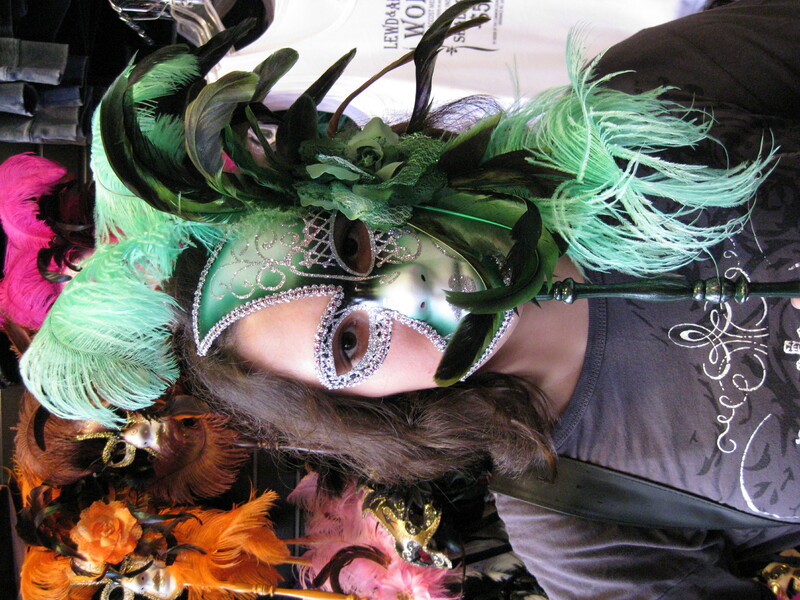 There is a general air of acceptability in this town….and you can see it from the way people feel free to be as freaky, or not, as they feel. 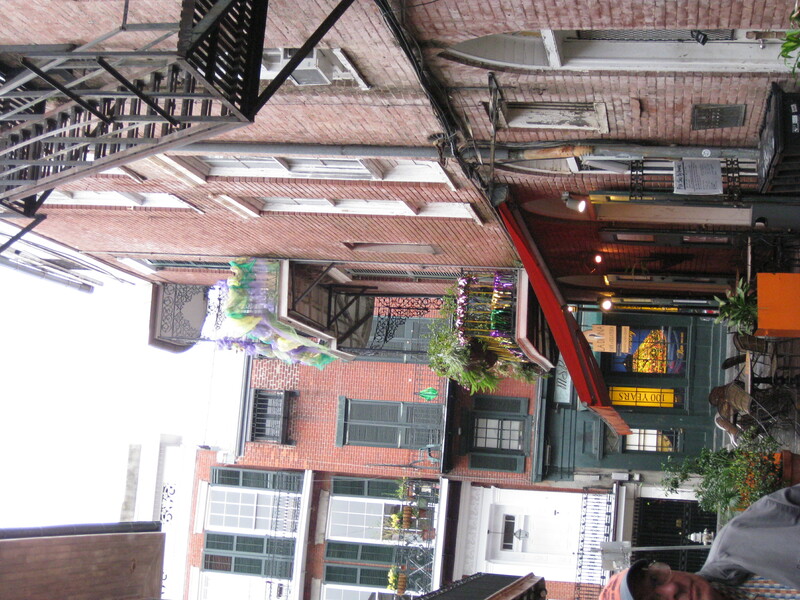 We went through lots of back streets that gave us a general understanding of the complexity of living in the Quarter. If not for Sarah, I’d have been lost in about two seconds! Sarah showed us Marie Laveau’s House of Voodoo. 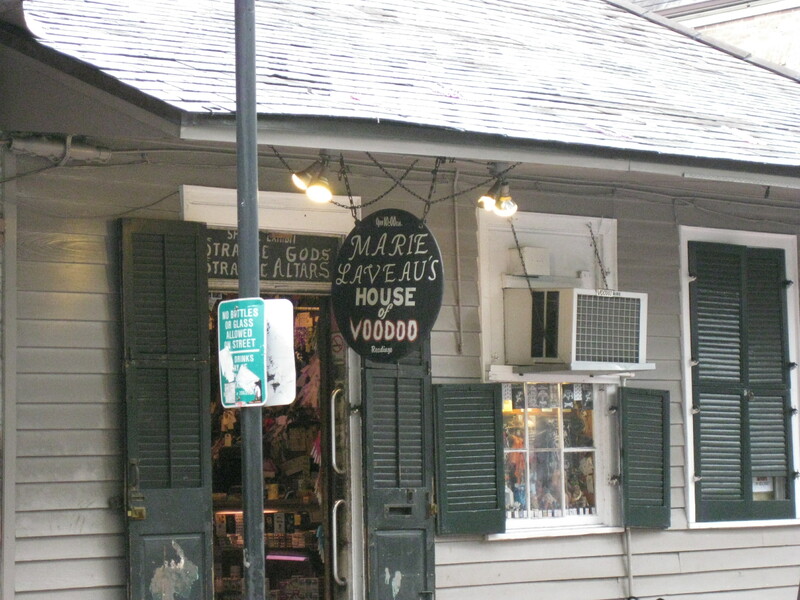 She told us a little bit about the history of New Orleans’ most famous voodoo priestess….it was quite entertaining to hear how misunderstood she was (which led to her being called a witch). The first New Orleans “Skyscraper” was built in 1807. 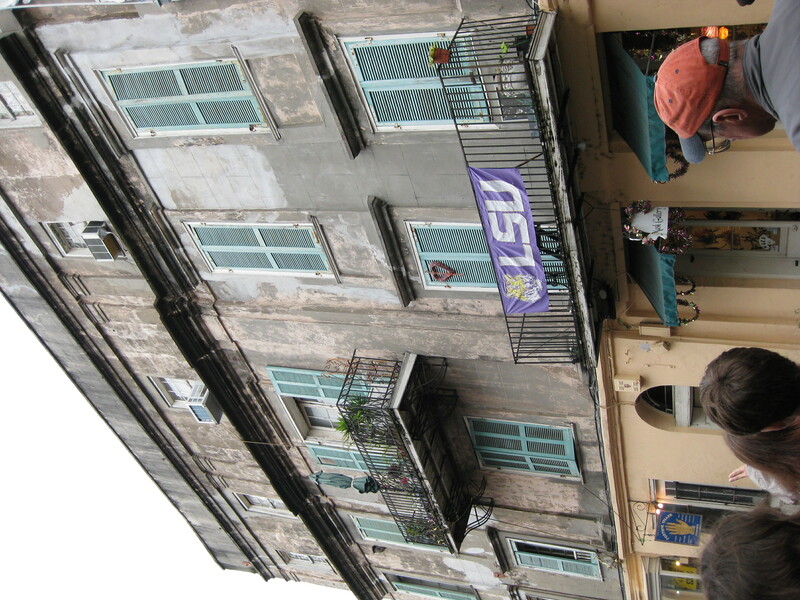 It was the first four-story building in the city, and is still standing and in use, on the corner of Royal St. and St. Peter St, in the French Quarter. 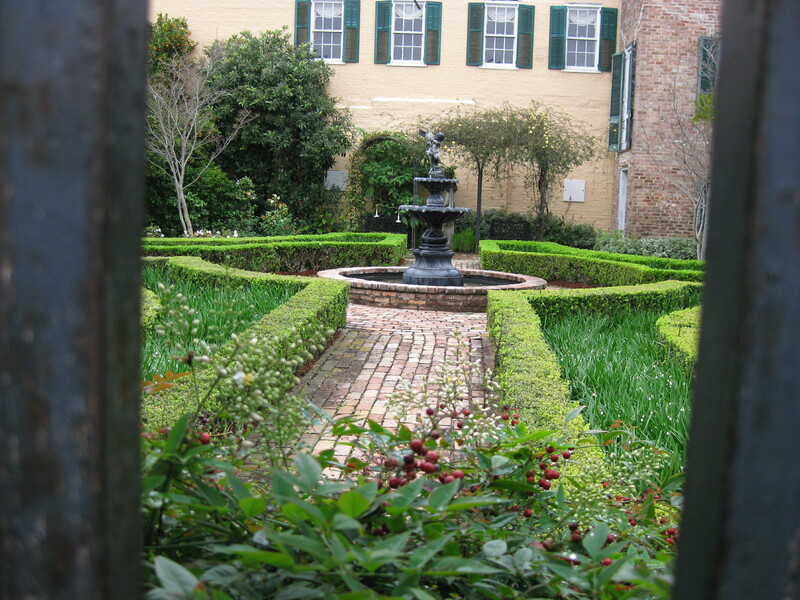 Sarah showed us what the interior courtyard gardens would have looked like back in the 1800’s. Annalea said that when we get a house she wants to make a garden like this….I told her we could try! We took many photos and had a wonderful tour, but if I posted them all this page would be endless! 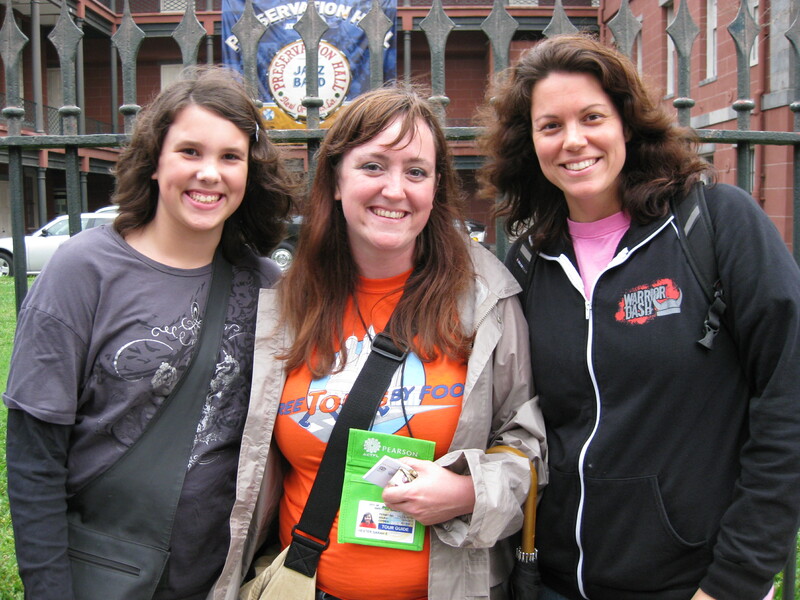 So, here is a picture of Grace and I with our tour guide, Sarah. There are a few other things worth mentioning. Some of which will have to wait til tomorrow when I’ll do a foodie type of post about New Orleans (yummo). For right now, here are a few pics of our wanderings around the city. 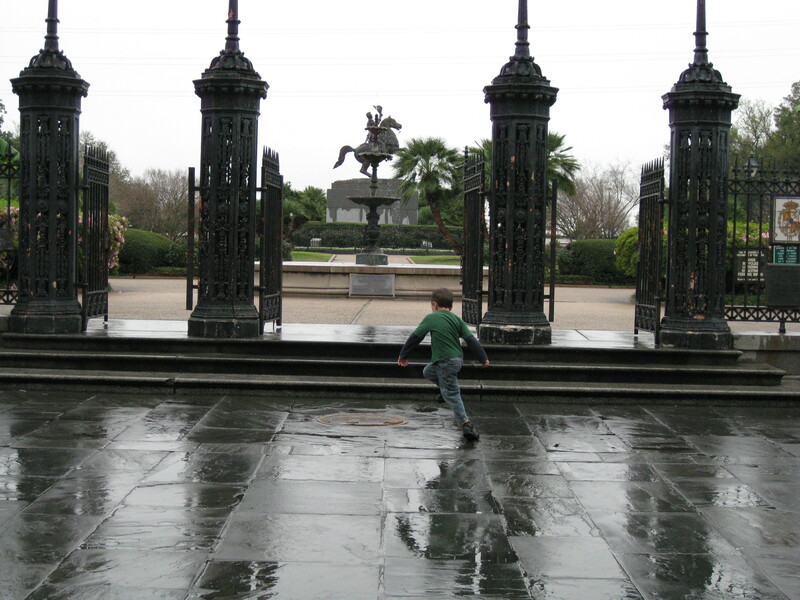 Jackson Square…..Sarah told us that apartments that overlook the square rent for around $8,000/month. wow! 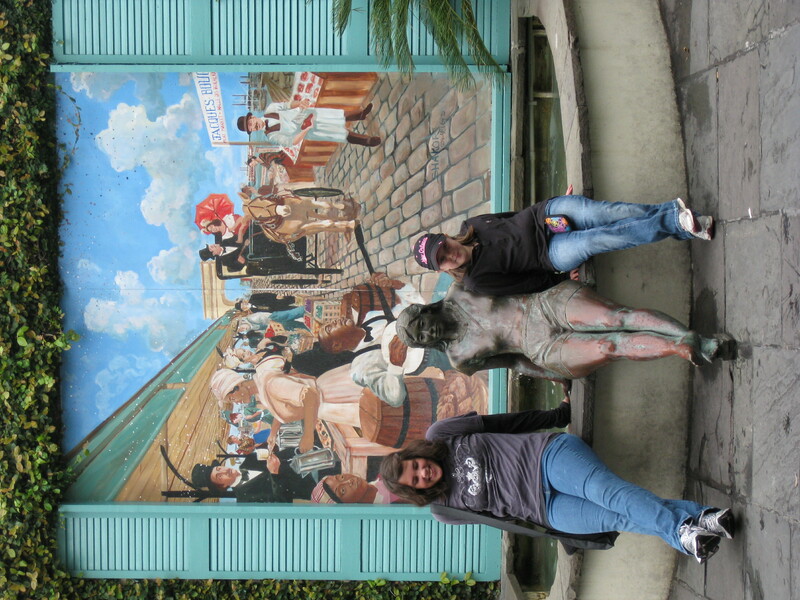 This final picture I’m going to post is of someone who helped me immensely while we were in New Orleans. I had been having some neck problems and finally decided that some chiropractic care was in order. It was hard for me to pick someone to go to. Our family chiropractor, Dr.Puja Wentworth, is in Raleigh and is a hard act to follow. But, after doing a lot of research, I settled on trying out Dr. Russo at Russo Chiropractic Clinic. All I can say is Whew! I’m glad I did! It’s hard to find someone who has a similar approach that Dr. Puja does. He’s not exactly the same, but it’s similar and that made me feel immediately comfortable. He was able to see me that day and didn’t charge an arm and a leg for the visit! He was gentle, but firm, and utilized various techniques to adjust me to alleviate the pain. He also is an athlete who not only understands the lifestyle, but offers various rehabilitation services, including nutrition, to get you back into fighting shape! And I love that he is open to new ideas and is always searching for ways to offer more positive and helpful information and products to his patients. 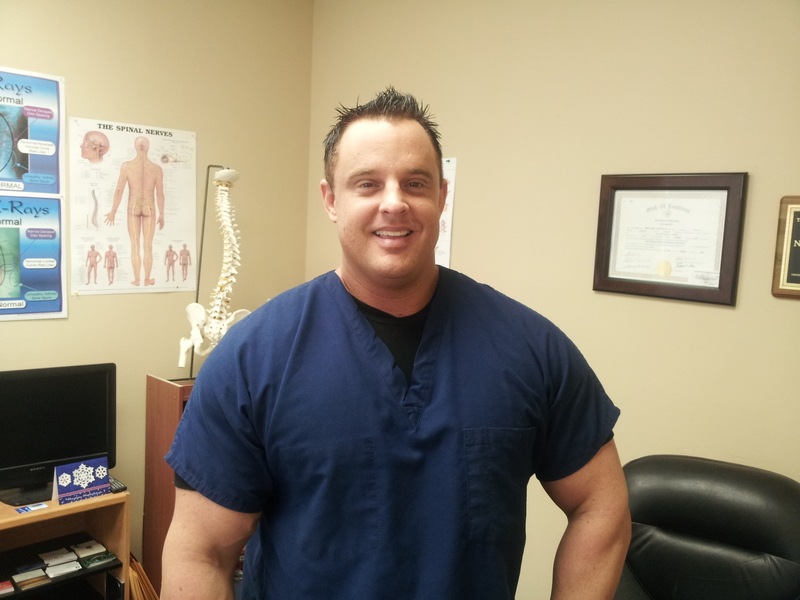 If you are in the New Orleans area be sure to look him up for any chiropractic needs! 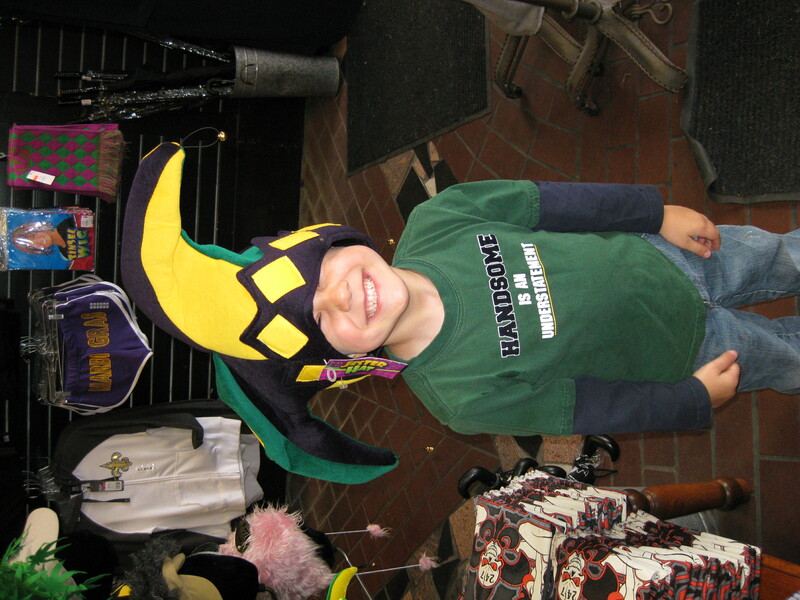 When I go back to the Crescent City, he will definitely be on my must-see list! Thanks Dr. Russo!! That’s it for today friends….be sure to get email updates for new posts…you won’t want to miss the next post on all the good eats we found in New Orleans!! Thanks ya’ll it was a blast! Can’t wait till you get back here again! My pleasure Mary! Always a pleasure helping great patient as yourself! N’awlins is one of my FAVORITE cities! I’m so glad you had a good time and can’t wait to read your post on my favorite part of this wonderful city…the food!!! it should be coming today!! 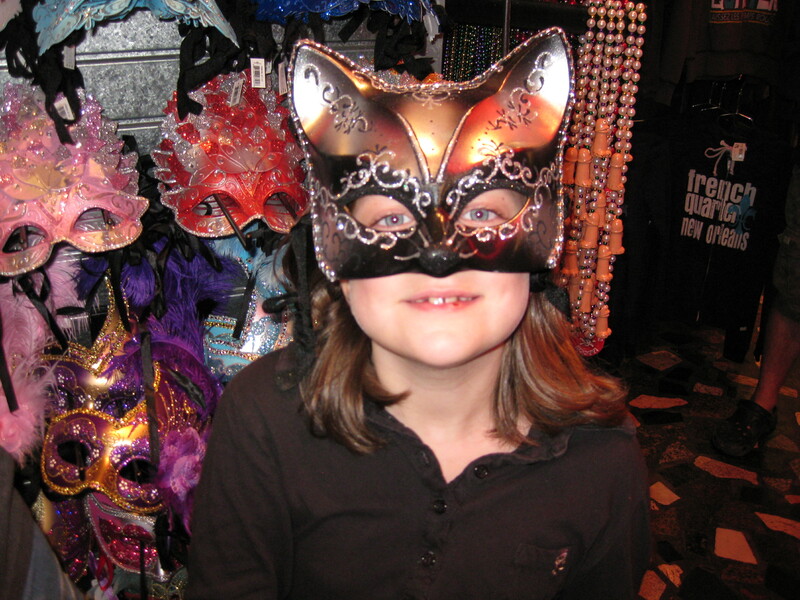 i REALLY loved N’awlins too…i could totally spend some time there!